What happened to pineapple? Classic cocktail tomes burst with pineapple gums, syrups, juices, sticks, and rounds. 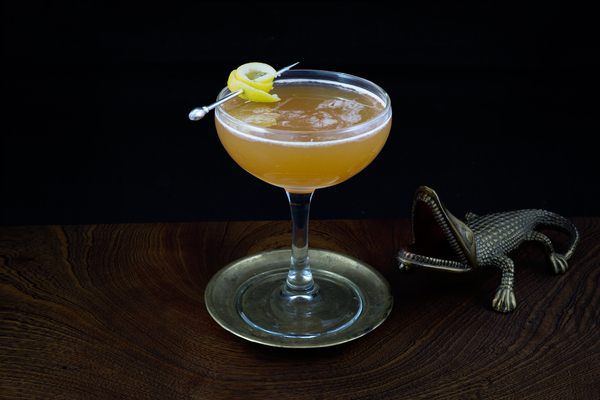 New world explorers referred to it as “the nectar of the gods,” and employed it as such in countless punches with their other favorite nectar: rum. 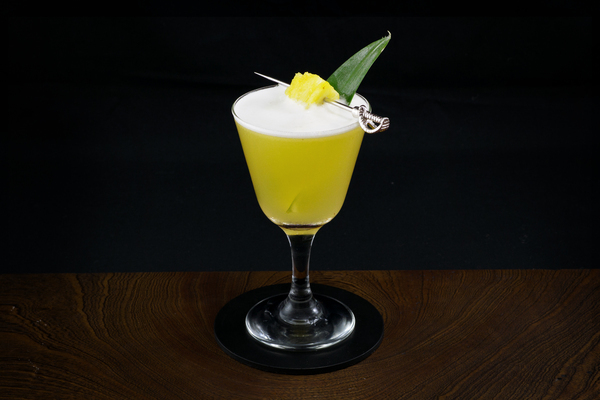 Large scale farming in Hawaii made pineapple an exotic staple of the early 20th century, yet today's finer cocktail establishments seem content to ignore it. Sure, it makes an abbreviated appearance in a number of tiki drinks, but always alongside twelve other ingredients. Perhaps it's the long, sad legacy of the piña colada, but the thoughtful Brooklyn barkeep seems more apt to reach for a grapefruit these days. We think that's a shame, because pineapple juice is perfect for cocktails. It's sweet, complex, beautifully colored, and when shaken, creates a thick velvety texture with a nice froth on top. It's affordable, readily available, and downright delicious. Ok, we’ll stop. But seriously, do yourself a favor and give this relatively new cocktail, created by Marcovaldo Dionysus, a shot. It may have Chartreuse in the name, but to us, it's all about pineapple. Like any good pineapple drink, start with a shaker. To get a thick, creamy texture, combine the ingredients and shake to all hell with a couple of ice pellets, then pop the top off and pour it unstrained. 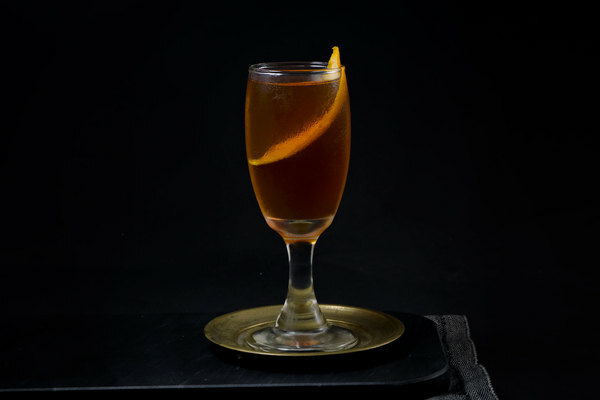 Variations on this drink abound, with the amount of rum ranging from zero to an ounce. We definitely recommend going easy on the rum, as it can quickly overwhelm the color and flavor, but a splash adds a caramelly depth. Some variations suggest mint as a garnish, but this distracts from the sweet, herbal nose of the Chartreuse. 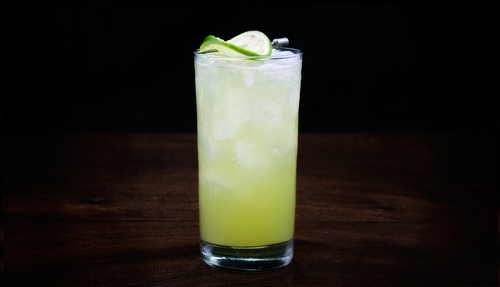 A lime wheel is all this drink really needs, but a pineapple slice wouldn't hurt.